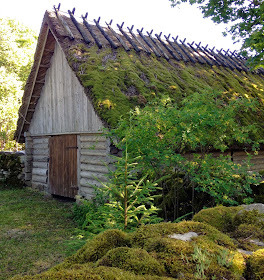 Muhu. This is the place that started our obsession with Estonian crafts and we couldn't bear to go all the way to Estonia without visiting this amazing island. It all started with a coffee table book that we carried here at Fancy Tiger Crafts that focused just on the handicrafts from this one island. 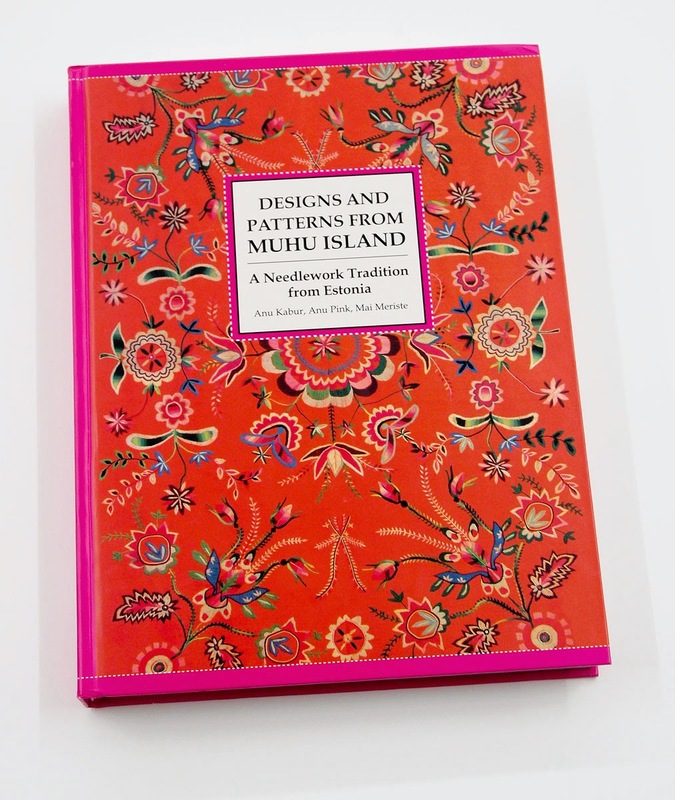 Muhu style is known for its use of vibrant colors, particularly hot pink and super bright, saturated orange. All of Estonia uses these bright colors, but Muhu in particular embraces them to the max. 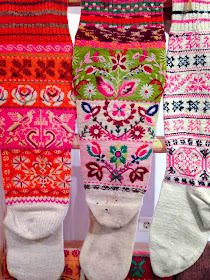 Like all of Estonia, knitting is big on Muhu, but embroidery is their most prevalent craft. In addition to using embroidery to decorate shoes and clothes, they make beautiful wedding blankets--large blankets that are usually made of dark fabric and then embroidered with flower motifs in bright colors. These blankets are truly stunning to see in person and the work that would go into them is staggering. We took a day to explore this island which is a 2 hour drive and 20 minute ferry ride away from Tallinn. 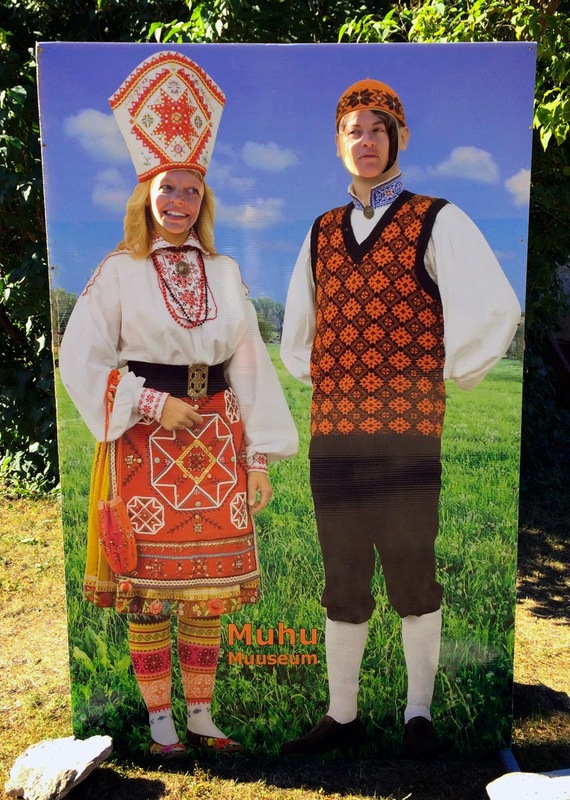 Muhu, like a lot of Estonia, is mostly rural with beautiful thatch-roof houses and a few windmills dotting the landscape. It is a surprisingly small island with few inhabitants - so it is amazing to think they created the extensive body of work that is featured in our coffee table book. Of course we had to take an embroidery class while on Muhu. Our friend Malia of Penelope Crafts in Amsterdam set this up for us. It was amazing and difficult. I consider myself pretty adept at embroidery, but these ladies schooled us. I have a whole new level of appreciation for the intricate and often large-scale designs that decorate much of the textiles found on Muhu. 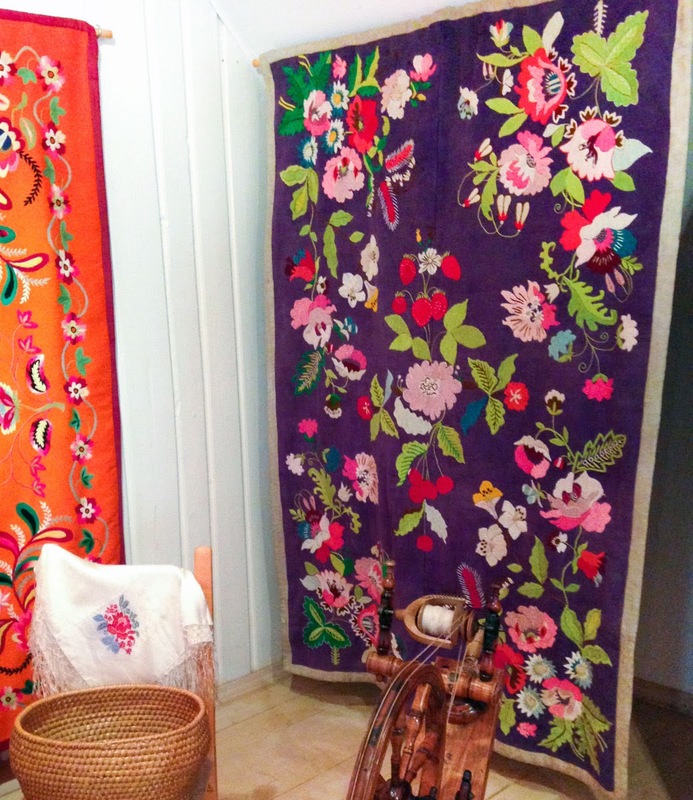 Our teacher, Tiina Saar, is a big name in contemporary Muhu embroidery, with her work currently showcased in the ornaMENTAL exhibition in Tallinn. She taught us a very traditional strawberry motif that we worked in bright colors on a black fabric. Adorable. There was a bit of a communication barrier and it was hard at times to understand just what we were trying to do with our embroidery stitches. Also, Tiina is such a professional stitcher, her hands moving so swiftly that our eyes had a hard time keeping up. 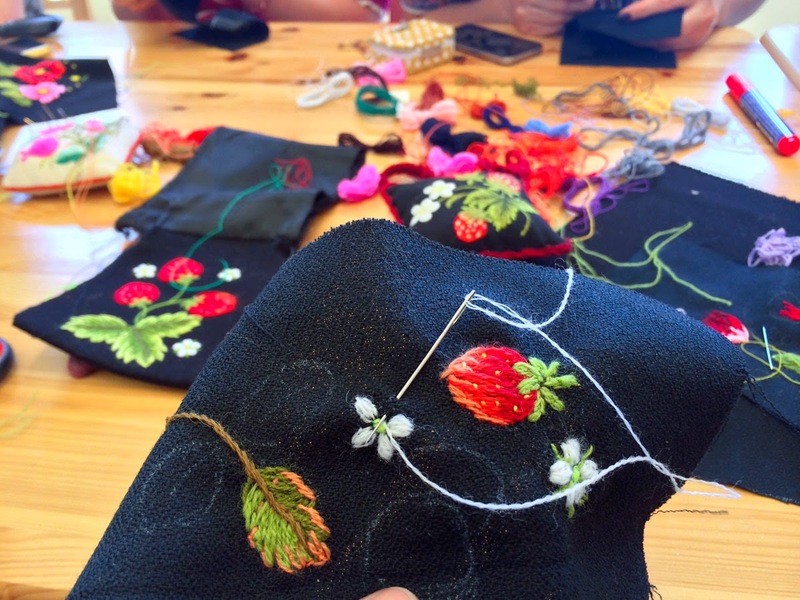 It took almost 2 of our 3 hours of class to finally grasp that the Muhu embroidery technique is couching! 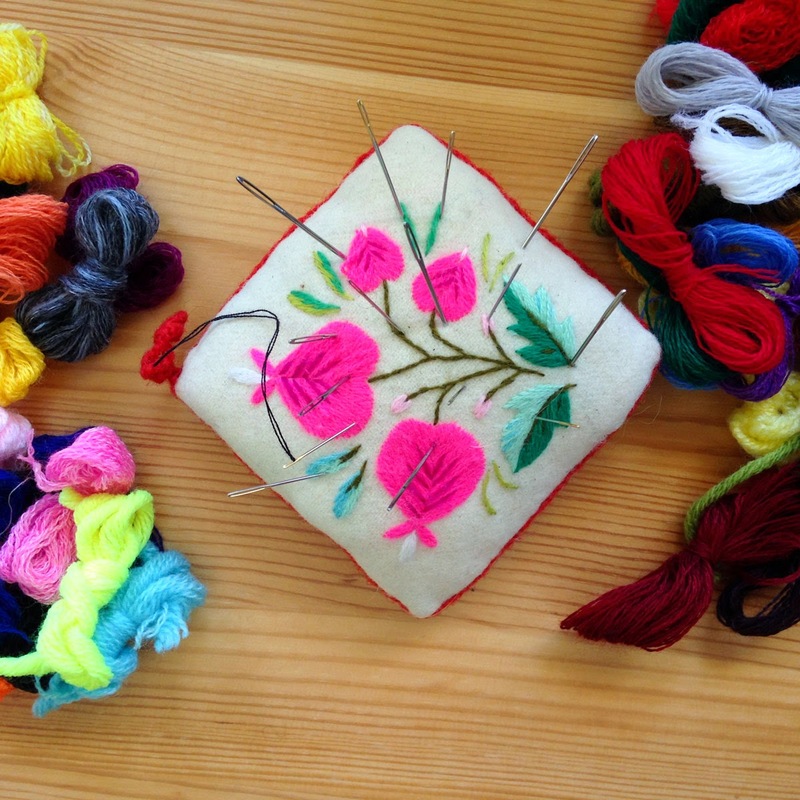 The long and purposefully uneven satin stitches are each tacked down with a tiny couching stitch. Once we grasped this concept our embroidery really began moving along. While it took us a while to catch onto this, we did impress Tiina with our proficiency at needle threading, so we weren't the worst students she had ever had. 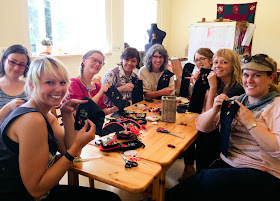 After our embroidery class, we spent a bit of time exploring the island. Our exploration took us to Koguva, a wonderfully preserved village-turned outdoor museum. Thank god we went here because here we found the articles featured in our coffee table book and we were able to see them in person! Oh man are these beautiful. This is the work that inspired this trip and it was a truly amazing experience to get to see these exceptional examples of Muhu handicrafts in person. The rich & vibrant colors/patterns in this post are such a feast for the eyes - thank you for sharing the beauty of your travels! do you know the swedish designer gudrun sjöden ? she also tells storys about muhu island in the last winter catalouge. its great design there on this small island.